Hours: 11 a.m.-11 p.m. Tue.-Thu., 11 a.m.-11:30 p.m. Fri.-Sat., 11-10 p.m. Sun. (Bar open till 1:30 a.m. Tue.-Sat., till midnight Sun.) Closed Mon. 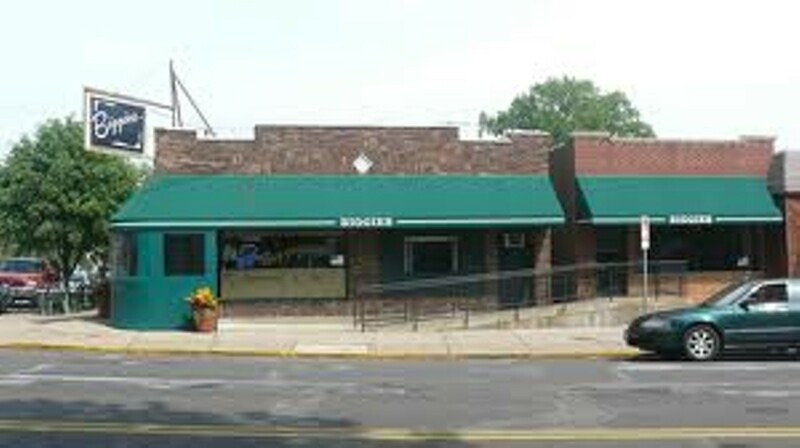 A neighborhood bar & grill in the finest St. Louis tradition. The pork chop is the trademark dish: It weighs in at one pound and requires 25 minutes to cook. Burgers and sandwiches are satisfying, especially the veal parm. The menu includes steaks, seafood and Italian dishes, including pizza, in the Provel-intensive St. Louis style. (Not a fan of T-ravs? Biggie's might convert you.) Barbecue ribs are the weekend specialty. The atmosphere is friendly, and there's more sports memorabilia on the walls than you could study in a dozen visits.